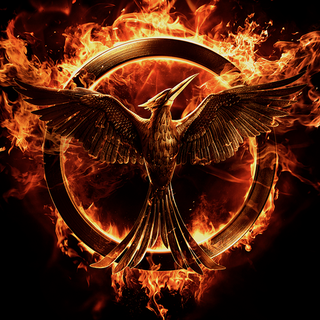 Mockingjay is the biggest opening weekend of the year! And the first franchise in history to have all its movies open above 120 million $. Overseas the movie has done even better than the previous two. Take that Bayformers! Mockingjay grossed $123 million from 4,151 locations, down 22 percent from the $158.1 million debut of The Hunger Games: Catching Fire a year ago and 19 percent from the $152.5 million launch of The Hunger Games in March 2012. Still, it's no slouch, and stands as the No. 15 opening of all time, not accounting for inflation. And Hunger Games has become the first franchise in Hollywood history to have the first three installments open to $120 million or higher. Overseas, Mockingjay outperformed the first two films, grossing $152 million, or 4 percent ahead of Catching Fire ($146 million). That puts Mockingjay's worldwide total at $275 million, one of the best showings of the year, even if it didn't match Catching Fire's tally ($294.1 million). Now I've seen this movie yesterday, and I can't recommended it enough. I think i liked book 3 least of all, but the movie cuts away a lot of the boring and repetitive things, while sill exploring and expanding the world - getting us to care about the revolution. At the same time, we really get to know Katniss a lot better and her not-very-good state of mind at this point. It also establishes District 13 and its leaders - and I think that will be rather essential for the next movie. I think they really caught the most important parts of the (first part) of the book, and honestly it didn't feel overly long at all. I disagreed with the initial idea to split the last book into two movies, but Mockingjay part 1 really proves there was more than enough material for a whole movie. At the same time, it's definitely a change of pace. It's not really an action movie - it's much more of a thriller. So if you haven't seen it yet - go see this movie!